Nu Derma Clear Fix is said to be specifically formulated to lighten aging skin without harsh, manmade chemicals like hydroquinone. It is used to treat the damage inflicted by UVA rays and hyperpigmentation which often result during aging. This lightening cream is to even the skin’s tone and decrease the visibility of dark spots for complexion that is smooth. The form of hydroquinone in this cream has been taken from a plant called bearberry to negate the side effects of cruel synthetic chemicals. The Obagi manufacturer tells its customers that this is a natural solution to skin brightening. It diminishes flaws which can be the result of blemish scaring, melisma, and sun damage. No prescription is needed for this gel and while it is said to be mild to the skin, it is also powerfully lightening as well as clarifying. The manufacturer further claims that Nu Derma Clear Fix maintains healthy skin cell development for a radiantly, fabulous presence. This solution is not irritating to the skin causing burning or redness, but reverse damage from the UVA rays as well as the aging process while penetrating deep to hydrating parched, tired skin. Glycosylated hydroquinone is extracted as arbutin to be used a s a gentle skin lightener. 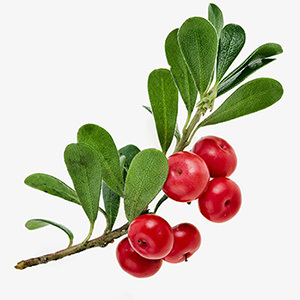 It may be obtained from pomegranate, pear, or bearberry trees and is traditionally found in beautifying formulas around the world. Vitamin E infuses parched skin with deep conditioners while creating a barrier to protect against moisture loss. This oil has demonstrated the capacity to reduce the visibility of spots from aging, stretch marks, and acne scarring. Asorbic acid added to skin care products is generally from vitamin C. It has shown the abilities to naturally purify and deeply exfoliate skin as well as repair skin which is sun or photo damaged. Each component has been scientifically verified for efficacy. This product is able to be labeled has containing no hydroquinone because that which is in it is extracted from the botanical world. The company has included sun screen in this formula. A great deal of excellent user feedback is posted across the web. There have been no clinical trials for the post market product. There is propylparaben; methylparaben; saponins; and butylparaben included in this product. There company website provides absolutely nothing about the OTC formula. This formula may not truly be created by Obagi. Amazon offers a 2-ounce tube of this formula for $70, but it is not available on the manufacturer’s website. Obagi Nu-Derm Clear Fix OTC Gel does not seem like a good choice considering the extreme expense and the lack of any type of refund. ThermOxyn - Will this product bring satisfactory results?